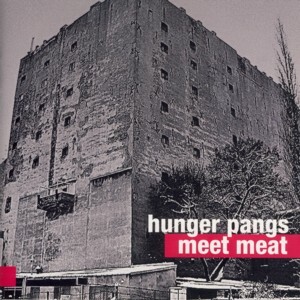 This is the debut album by the Hunger PangsFind albums by this artist trio, which was formed in 2006 by students of the Music Academy in Odense, Denmark. It comprises of two Polish musicians: guitarist Marek KadzielaFind albums by this artist, who is also the trio´s main composer, and the upcoming excellent trumpeter Tomasz DabrowskiFind albums by this artist, together with Danish drummer Kasper Tom ChristiansenFind albums by this artist. The album includes nine compositions, which were recorded over a period of two years in Germany and Denmark, six of which were composed by Kadziela, one each by Dabrowski and Christiansen and the remaining one being credited to the trio. The album´s liner notes, entitled "A Vacation From Bebop", seem to point out the musical direction undertaken by the trio, which proves once again that the development of Jazz did not stop with Bebop and continues to this very day way beyond the established ground rules. The essence of this music is all about freedom of expression limited only by the artists´ abilities and talents. Stylistically the trio moves between diametrically different environments like Jazz-Rock Fusion and Improvised Music, but the music remains coherent and beautifully expressive at all points. The absence of bass, which usually glues the music together and adds tremendously to the overall atmosphere of most Jazz recordings, is not a major hindrance here and is hardly even felt. As usual is such circumstances, the musical cooperation of the trio members is more important than the individual contributions, notwithstanding the fact that all trio members present plenty of talent and professionalism. Personally the focus of my attention converges on the absolutely stunning performances by the trumpeter Tomasz Dabrowski, who is firmly emerging as one of the most promising trumpet players of the young Polish Jazz scene, which can be easily verified by listening to a series of recordings he made recently, including his excellent debut album released a year earlier. Both the guitarist and the drummer play very well but have not reached a point of clear-cut personal identity, which usually comes in time. The years spent in Denmark by the two Poles as well as the presence of a Danish drummer contribute to the specific Scandinavian sound / spirit present on this album, perhaps more subconsciously than intended. This recording is one of the multiple steps taken by the young generation of Polish (in particular) and European (in general) young Jazz musicians on the way to establish a new Renaissance of the Jazz artistry, which seems to overflow the continent with a Tsunami like wave of new talent. Considering the level of maturity and power of expression present here, usually associated with musicians at the peak of their artistic powers, it´s truly scary to realize that these are players at the early stage of their career. Released by the excellent new Polish For TuneFind albums on this label label, this album deserves to be heard by all European Jazz fans, as it heralds the shape of things to come.